A flat notepad holder for an A6 notepad, such as a Rite in the Rain or waterproof pad. The A6 dimensions are approximately 14.85cm x 10.5cm. The notepad holder has a zip around the right, front and left edges to allow ith to flip open like a notepad. The top of the pouch has a velcro pocket with compartments for holding pens, erasers and items for writing. This allows the notepad holder to remain as flat as possible whilst having the capacity to organise and hold all utensils needed. 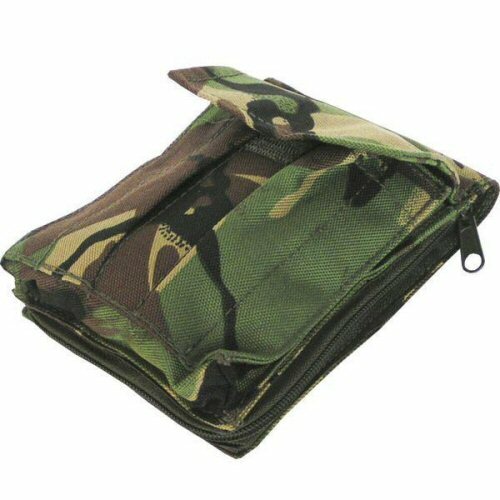 The notepad holder is made from 1000D Cordura nylon which has been internally treated with PU for waterproofing and dustproofing.